Slight blips can be seen here and there, but overall, IT sector stays structurally positive, says Desai. In midcap IT, we prefer Larsen and Toubro Infotech (LTI). 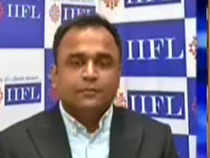 MindTree and Mphasis also appear attractive, Milan Desai, analyst, IIFL Securities, tells ET Now. What are you making of the TCS numbers, the management commentary and how the street is reacting to the numbers today? We are happy with the topline growth that they have achieved. The street is reacting to a negative surprise on margins but one thing that we take from the commentary is that they are okay with taking a hit on the margin because they see a big opportunity out there. They are seeing the pipeline expand and they are okay to dip into that subcontractor pool in times of crunch. Overall, the commentary was positive and they feel confident that they will do double digit growth in FY19. They can follow it up in FY20 as well. The margin might see a temporary blip. As they dip into that pool to address this opportunity that is out there it is going to be under pressure but it will normalise going forward. Do you think that for the IT sector things are going to be steady in the fourth quarter, even if Q3 is seasonally weak? If I were to just go by what the commentaries have come out so far, the concerns are there but they are fairly confident considering what they have in terms of order pipelines and what they have already booked. They feel they will be able to weather the storm and the same thing is likely for Infosys. If you see the amount of order inflows that have happened, they should be able to sail through in Q4. Actually in Q4, the actual ramp-up should happen. What can we expect from Infosys? Do you think it is going to be all about the buyback, when it comes to Infosys more than the numbers? The buyback is definitely a feel good factor over here. Obviously, the growth is going to be good. The order inflows have been good in the last quarter and that can be a little bit of a positive surprise. We are factoring in 1.3% constant currency growth. We are a little bit lower than the street but that can be a surprise with all the ramp-up cost for these large deals. There can be negative surprise on the margin. We are expecting 30 bps decline as yesterday we were not building in any margin decline for TCS but owing to higher subcontracting costs and some cross currency hit at the margin level, we can expect something there. What do you like midcap IT? In midcap IT, we prefer Larsen and Toubro Infotech (LTI), although the stock has run up in the last two trading sessions. But there is a clear-cut focus. There is a sense of how they want to go about the business. There is clear-cut focus on mining clients as well as growing the other accounts. LTI stands for us and then we can take a look at the correction that has happened in other IT space like MindTree and Mphasis. Obviously, they corrected quite a bit but there is still opportunity over there. We have seen the returns from both Infosys as well as TCS in 2018. They are quoting at 20 to 16.5 times respectively on an FY20 forward basis. Would you believe that a large move in the stock prices is now behind us? Will it be foolhardy to expect the 40-30 odd per cent returns stepping into this year. You have to curb your expectations a little bit. One, there could be some external factors playing out but TCS definitely stands out among top five companies. They should be able to do 10 odd percent growth on revenue terms like dollar revenue and Infosys should not be far behind considering the catch-up investments that they are making in this year. You can expect 15 odd percent upside from TCS from current levels next year and slightly better from Infosys because we feel that the gap should close as it catches up in terms of EPS growth. So, Infosys does present a better risk reward. 2018 has been a great year for IT. Some would attribute it to the currency but the environment was also very supportive of their move. What are you sensing for FY20? We expect the top two IT companies -- TCS and Infosys -- to separate out in terms of largecaps and HCL Tech has been taking the initiative of going the separate way by investing in these IPs. So obviously, macro will have some impact. There is no such rule of thumb or correlation that macro impact will have on the IT spends. Slight blips can be expected here and there but overall, the IT sector remains structurally positive in our books.